Trends in housing and other construction-related sectors continue to have a significant impact on the wood products industry, particularly cabinetry, furniture, millwork and components. This fifth annual survey assesses the market conditions for secondary woodworking manufacturers involved in construction-based sectors and includes information on their status and activities, as well as analysis of what has changed since last year. Conducted in early 2014, the study is a joint effort by Virginia Tech, the U.S. Forest Service and Wood Products. Overall, construction-based markets realized some modest recovery in 2013, especially for new residential building. Figure 1 shows U.S. spending on single-family housing and multi-family housing increased in 2013, while repair and remodeling and nonresidential construction remained nearly flat. The largest proportional increase was in multi-family housing, which grew 45% from 2012 to 2013. Affordability, and the challenges often faced by first-time buyers trying to secure mortgages likely impacted that. While this had a somewhat negative impact on wood products demand as multi-family construction generally does not generate the same volume of wood use per unit as a single family home, it does bode well for the wood products industry in general. It is against this backdrop that the 2014 study was conducted. Analysis of year-over-year sales performance over the four years evaluated by the study reveals continued gradual improvement in terms of those firms reporting positive changes in sales volume. In 2009, 81% of respondents reported losing sales volume from the previous year; by 2013 this dropped to 26%, with more than a quarter of respondents showing instead 10% sales growth from 2012 to 2013 (Figure 2). Overall, the results for sales volume changes shows gradual but continual improvement for those woodworking firms that have survived the worst of the housing downturn. While most of the woodworking firms surveyed said sales simply grew in proportion to the overall economy (Figure 6), the number of those taking specific actions, such as offering new services or entering new markets, posted their lowest average since the studies began in 2009. This could indicate a shift in focus by the woodworking firms, from finding new business to getting the existing and/or acquired new business done. As a side note, even those firms indicating sales declines perceived some improvement in the construction-related markets (Figure 7). So how are companies growing sales to the housing and construction-related markets? Increasing productivity through new technology and/or developing new product lines are still among the strategies cited by survey respondents. Offering green building products is another marketing strategy being used by some secondary woodworkers to leverage sales volume. Up until this year, respondents said the level of customer interest in sourcing green products had been trending downward. This year however, the level of interest seems to have stabilized, with those surveyed indicating results very similar to last year: More firms indicating not seeing increased interest (44%) than had seen increased interest (38%), with a sizable proportion (18%) being uncertain. Demand for made-to-order production continues to be important for the secondary wood industry, as noted in each year of the housing survey. And 2013 was no exception, with 60% of respondents indicating that more than 80% of their overall product mix could be classified as made-to-order. Custom and/or semi-custom manufacturing of products continues to be associated with higher price-points, with 64% of the respondents reporting they operated at medium-to-high to high price-points, a figure which is similar to previous years. Of the marketing communications put in place by these wood products firms, the most widely used was referrals, followed by contacting leads for follow up and visiting potential or past customers (Figure 8). There were few changes from past years’ survey results, where declines were seen in the amount of print advertising, email announcements, social networking and website postings. 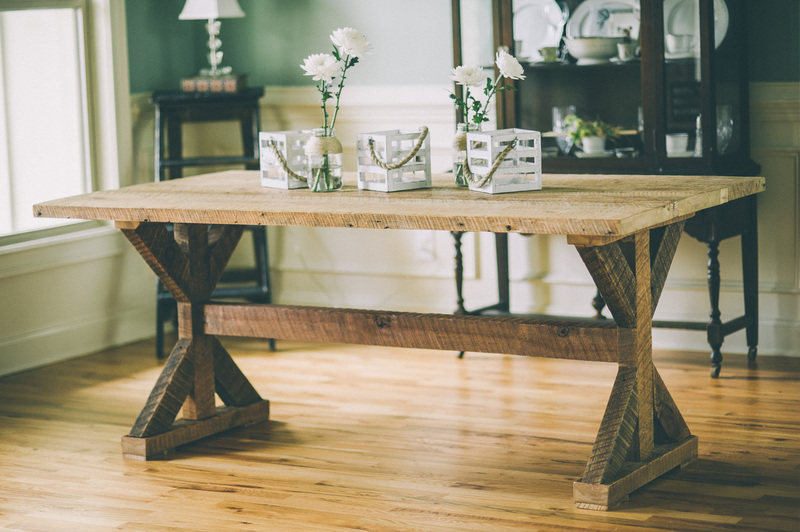 Smaller woodworking firms in particular reported less print advertising and emailing of potential new customers, while the decline in social networking and website postings was evident across all firm sizes. Overall, past customers appear to be especially important to the woodworking industry in the current environment, whether being called or visited directly — especially by larger firms — or indirectly as a source of referrals for new customers. Lastly, wood products manufacturers participating in this year’s survey also continued to be domestically focused, with a wide majority (85%) indicating that more than 60% of their sales in 2014 would result from domestically produced and/or sourced products. Conversely, about 27% indicated they had increased the use of wood imports in their product lines over the past five years. Of those reporting an increased use of wood imports, 64% brought in components or lumber, 9% imported finished products, and 28% imported both finished products and lumber or components. This is the fifth consecutive year for the Housing Market survey. The 2014 study was conducted in February/April via e-mail to Wood Products subscribers. A total of 193 usable responses were received. Similar to past years, cabinetmakers comprised the largest component of the sample, representing 35% of respondents. 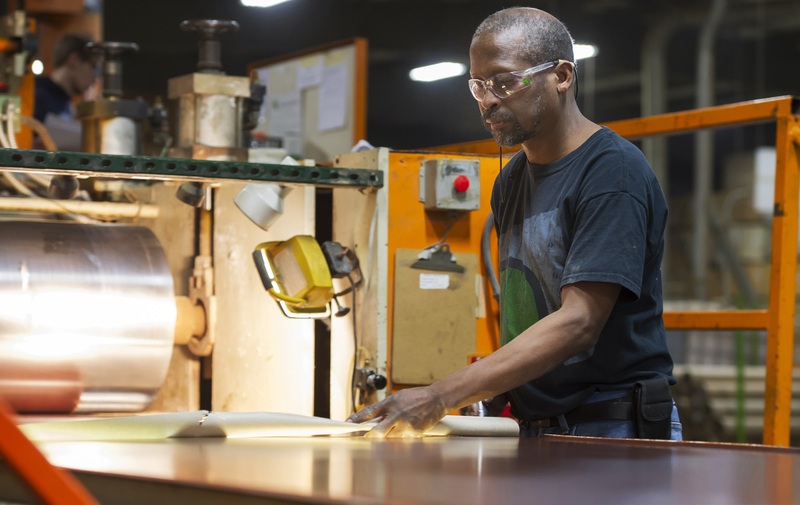 Nearly 12% were residential furniture producers, 15% were millwork manufacturers, 11% were architectural fixtures firms, 6% produced dimension or components, and 5% manufactured office/hospitality/contract furniture. While an additional 17% indicated their production was in “other” categories, most could reasonably be classified into one of the aforementioned categories, mostly architectural fixtures, millwork and closets. Looking at material trends, 52% said they used both solid wood and wood composites in the production, with 32% indicating they used mostly solid wood. Over 76% of respondents represented a single facility operation. Responses were received from 42 states, with CA, NC, IN, PA, WA, MN, NY, TX, WI and OH each accounting for at least 4% of the total responses. Geographic markets served ranged from 44% doing regular business in the Midwest to 26% doing regular business in the South. About the authors: Urs Buehlmann is with the Department of Sustainable Biomaterials at Virginia Tech, Blacksburg, VA. Matt Bumgardner is with the Northern Research Station, U.S. Forest Service, Delaware, OH. Karen Koenig is editor of Wood Products.